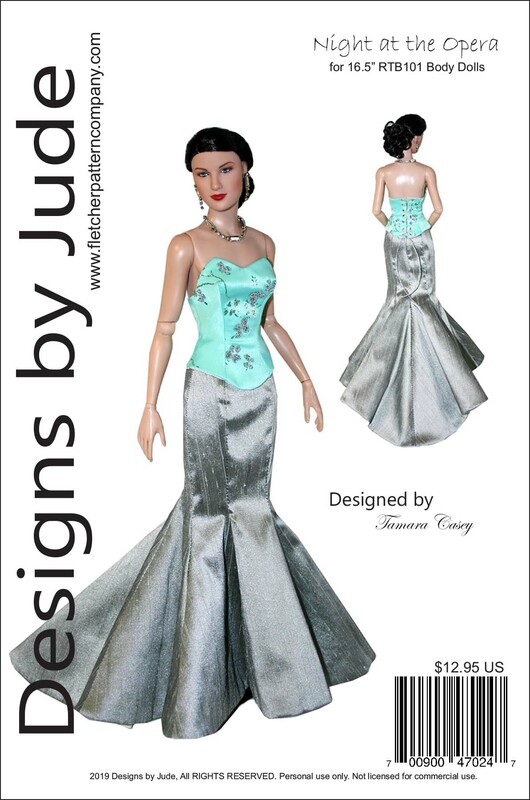 Up for consideration is a floor length skirt and bustier pattern called Night at the Opera for 16.5" RTB101 body dolls like Claire, Ellowyne and Evangeline. 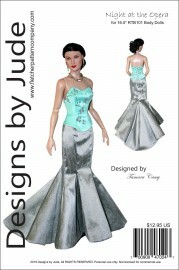 The pattern consists of a fully lined floor length skirt with zipper back and lace up fitted bustier. This design is available for Tyler, Silkstone, Iplehouse and other fashion dolls. The PDF pattern prints on A4 and 8 1/2 x 14 legal size paper.